One of our main bugbears with used houses is the obsession with a southern exposure. 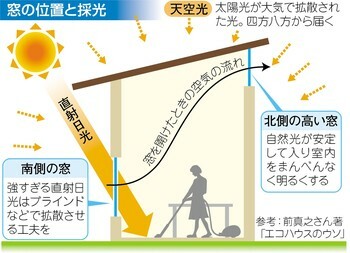 Though we perfectly understand the rationale–Japan is in the northern hemisphere and thus a southern facade provides more natural heating in the wintertime–we can’t fathom the insistence of builders and designers that all rooms in a house will face south and all “utilities,” meaning bathrooms and kitchen, will be located on the north side of the structure. Given the normally small plots of land in Japan, this results in a kind of domino distribution: all houses in a development “face” south, which inevitably means facing the “north” side of your neighbor. When we’ve asked builders about orienting a house toward the west or even north in order to take advantage of some attractive natural feature of the land, we’re invariably met with consternation and concern. It’s entirely possible, they say, but inadvisable. Some things just aren’t done. The following is an article I wrote in 2004 for an occasional column that I and several other non-Japanese wrote for the Asahi Evening News about the “expat” experience in Japan. In a way it explains our skittishness about buying property today. In the early 90s, my partner and I discussed the possibility of buying a condominium or a house. Both of us had recently become self-employed and our financial situation wasn’t assured, so we talked about buying property as if it would occur sometime in the middle-distant future, meaning not soon enough that we needed to start looking right away. 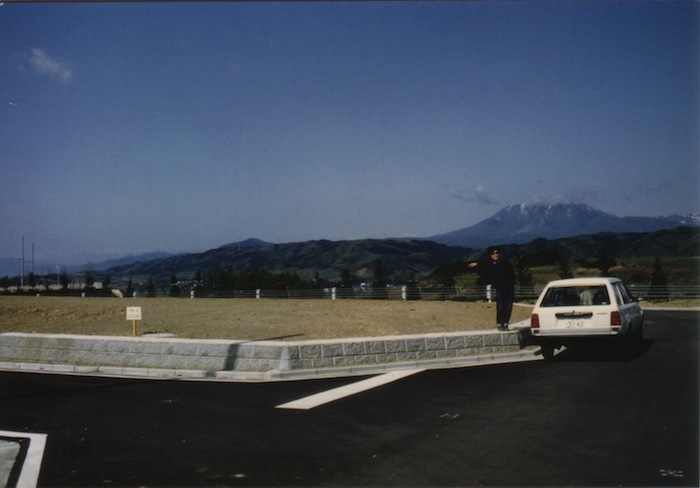 Our friends knew of this vague plan, and once, while visiting a couple we knew in Nagano prefecture, they told us of a housing scheme being promoted by a nearby local government. The city was developing a large piece of land on the top of a hill and offering plots by lottery at below-market prices. The stated aim was to attract new people to the city, which had been losing population over the past decade. We went to the lottery drawing not thinking that we would participate, but our friends talked my partner into picking a number out of the hamper just for fun. The odds against actually winning were almost ten-to-one. But she did. Everything suddenly changed. The prospect of buying property had so far been theoretical, but now we had to face the decision head on because we had been given an opportunity.